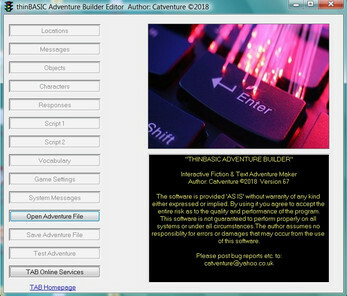 "Thinbasic Adventure Builder" (aka T.A.B.) 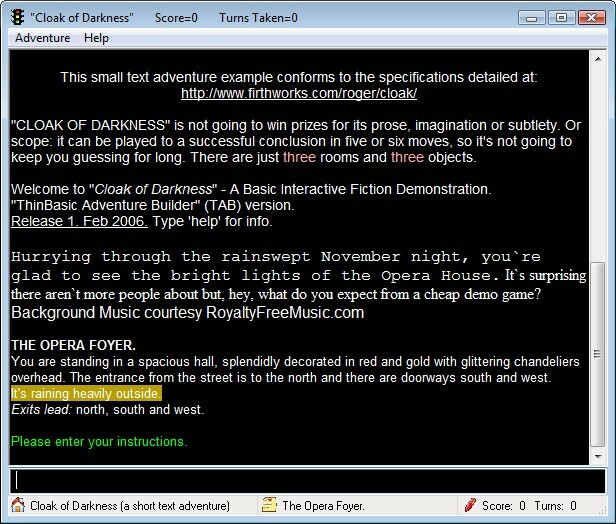 is my *free* text adventure; interactive fiction creator for PC Windows XP and above platform. It's a personal project which I am sharing with the Interactive Fiction community at large. TAB operates on very similar principles to popular 8-bit 80's retro text adventure creator programs like QUILL, PAW or GAC. It consists of a database an interpreter and a parser. TAB Editor - construct your adventure. 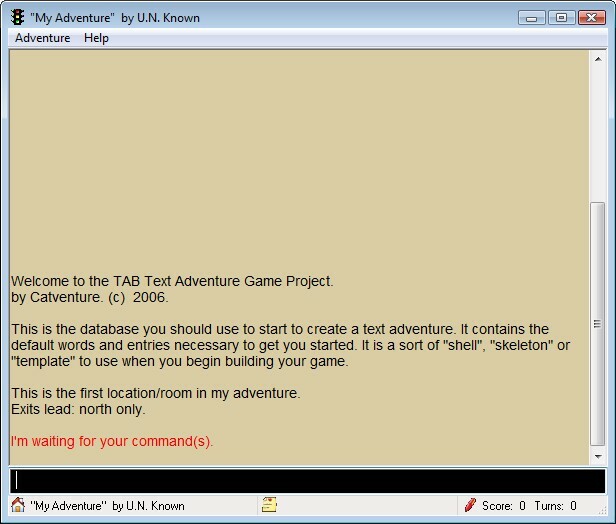 TAB Player - test and play your adventure. Finished games can easily be made into a standalone executable application enabling players to download and play a created game offline without needing to own the TAB program itself. All versions allow background music, samples and sfx to be added to games in .mp3, .wav, .ogg, aiff, or .mod format. **** All versions of TAB v68 are updated as of 5 Feb 2019. The TAB Programs runs on Windows XP and above. 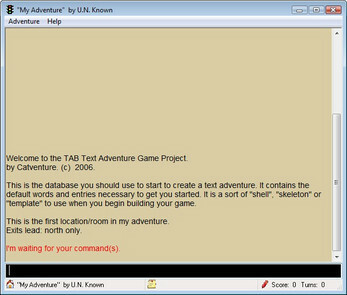 After unzipping read the text files and user tutorial for further information on how to use the TAB. Run the "TAB_Editor" or "TAB_Player" .exe applications to begin using TAB.